We live about an hour from Dungeness and both me and hubs have fond memories of day trips to Dungeness and rides on the little train that runs there. We last visited when I was pregnant and now the small one is 2.5 it seemed a no-brainer to take the transport-obsessed mancub for a day out. The weather looked a little hit and miss yesterday but we decided to go anyways, figuring the train was undercover and we were hardy parental-explorer-folk anyway. 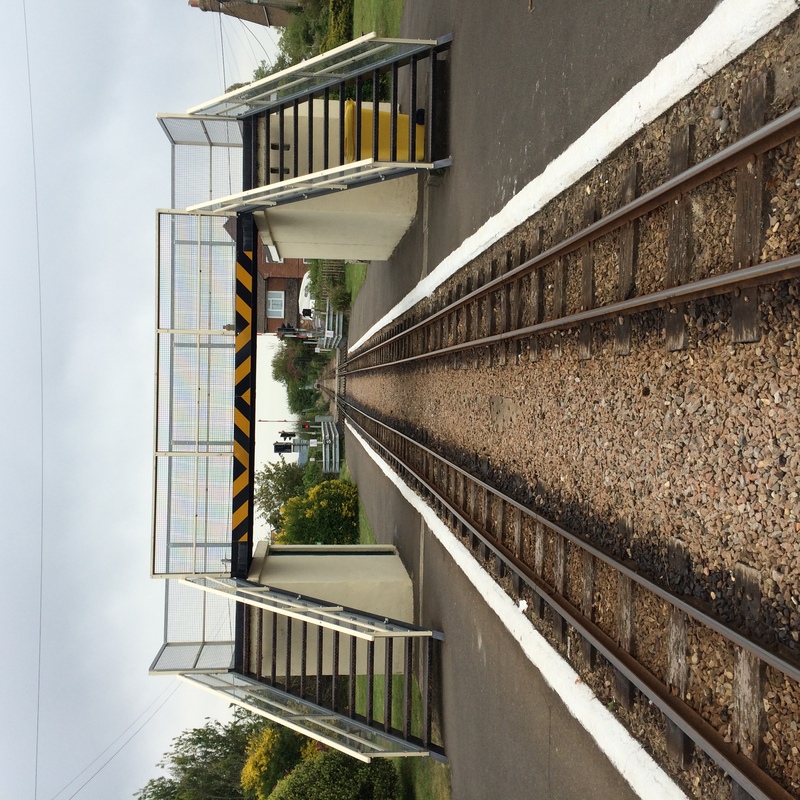 So, a bit of info… The Romney, Hythe & Dymchurch Railway is a miniature railway running 13.5 miles from Hythe to Dungeness. The trains are steam and diesel locomotives and there is plenty to see and do along the way. We parked at Dungeness which has had a massive makeover in the last few years; a new restaurant, shop and ticket office greeted us and as we remembered, the passionate and helpful staff. Parking is free at all of the stations and you can start from anywhere, they have a few ticket options but we went for a Romney Rover which allowed us to jump off and on along the route. We found a carriage where we could store the folded pushchair and sit; an issue I found early on was that the door can be opened, and these are on both sides. They are stiff but a latch of some description would be great for parental peace of mind when you have an inquisitive toddler! The little man loved looking at the world passing by; he got a little bored about half an hour or so but was easily distracted by looking for things out of the window. Dungeness is so quirky and we had great fun pointing at fishing huts and various random things along the way. 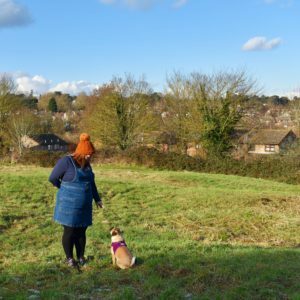 We decided to go to Hythe and work back from there; once off the train we walked across the road to a beautiful park running alongside the Royal Military Canal, perfect for picnics and letting any small people run off some energy. You can walk into Hythe town, which is a 15-20min walk, and the town is lovely for a mooch round. Depending on the day and time of the year the trains run to certain timetables and they were every 45mins, so we nipped back to watch the locomotive turn around on the turntable; which was always a highlight as a child. The train was packed on the way back, it was a little manic trying to find space to put the pushchair and find a seat but the staff were more than helpful and everyone got on and seated. 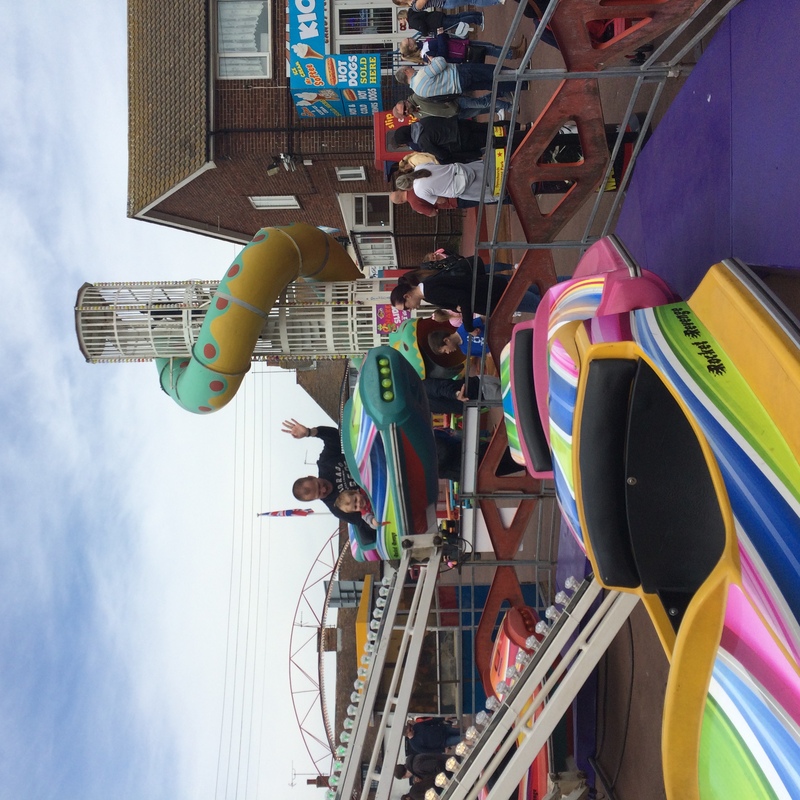 We stopped at Dymchurch next and walked into the town which is a 10min walk. We had planned to take the mancub to the amusement park and grab some lunch; it was very busy but the atmosphere was great and it’s perfect for all children, even toddlers. 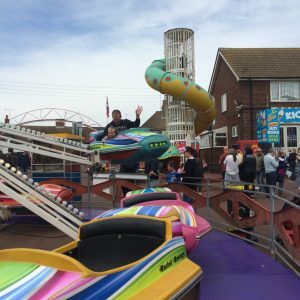 There is a soft play cafe and rides to suit all ages which are paid for by buying tokens, which we found to be really well priced – £10 for 12 tokens. Most rides were 1 token per person and some of the more popular were 2, we found 12 more than enough for what we wanted to do. Tucked around the corner is the Ocean Inn, a family pub and restaurant serving all sorts of things from pub grub to seafood. We got there about 1.30pm and found a table really easily, plus there was space to wheel a pushchair to the table, and we found the food to be really yummy and reasonably priced. The kids menu was great, happy tummies all round. We walked back to the station and had a short wait so had a nose around; the stations have lots of displays and information and are well kept, the railway is in its 90th year of operation and will hopefully continue for many more. What struck me what how friendly every single member of staff was; I believe most are volunteers and they could not have been more helpful throughout the day. Back on the train we had a short ride to New Romney, the main station and the Model Railway Museum was situated here. The mancub was allowed to visit the shop and pick a toy(train of course) which again, was really reasonably priced and stocked full of gifts and treats for everyone. The Model Railway Museum was great – you could press buttons which activated the trains and the little man loved this, they also had a toy Greendale Rocket just like his so he was happy. Outside there is a play area with games and a climbing frame which is gated and felt totally safe. Once back at Dungeness we enjoyed a cup of tea while the mancub played with toy trains in the cafe – a lovely touch and perfect for entertaining small people for just enough time to enjoy a hot cup of tea. All in all this is a great day out for any families but I would highly recommend it for anyone with pre-school children – we all had great fun, and enjoyed some good old fashioned family time, and it cost less that tickets to a theme park. 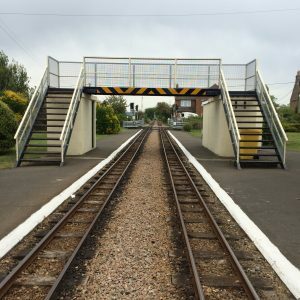 If you live in Kent or nearby, or fancy a visit, I would highly recommend a trip on The Romney, Hythe & Dymchurch Railway – you won’t be disappointed. If there’s one thing I know for sure – toddlers love trains! This sounds like a brilliant day out, especially being able to watch the train on the turntable. The amusements are really well priced. That’s good value for 12 tokens, and the rest of your day looks to have been a good one – like you say, less than the price of a day at a theme park, which might have been overwhelming for a toddler.